Study the properties that make up all living and non-living things and solve big problems at a molecular level. Choose a focus in environmental chemistry, geochemistry, industrial chemistry, materials chemistry, or pharmaceutical chemistry. Enjoy the many benefits of small class sizes, such as greater interaction with professors, lab time, personal tutorial sessions, and a great group dynamic. Work on research projects with your professors and scientists on campus, in the local mining industry, at the Health Sciences North Research Institute and the Northern Ontario School of Medicine. 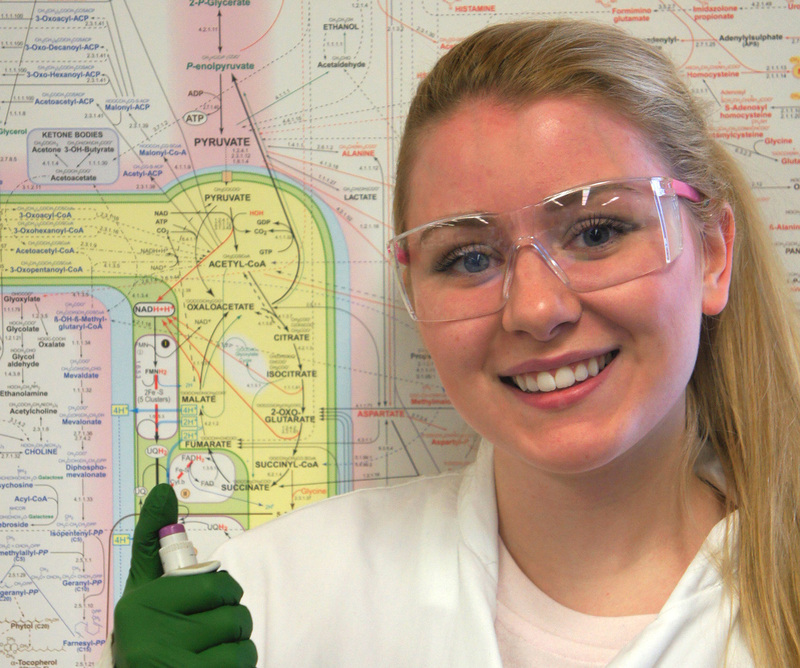 Kelsey is a fourth year student in the B.Sc Specialization in Chemistry. “I chose Laurentian for its focus on hands-on laboratory experiments. Being able to perform experiments has facilitated my professional growth as a chemist. At Laurentian University, I became involved in the Chemistry and Biochemistry club, and soon became president. The club organizes exciting events throughout the year that both the students and the faculty participate in. Not only have these events helped me making new friends, they also helped me in getting to know my professors. This has encouraged me to ask more questions, participate more in class, and overall, enhanced my learning experience. The Chemistry and Biochemistry department at Laurentian University has truly provided me with experiences and opportunities that have helped, and will continue to help me thrive in my time at Laurentian University”.